COMMANDO - Call of Duty: Black Ops Guide! The Commando is unlocked at level 44 in the Assault Rifle category. 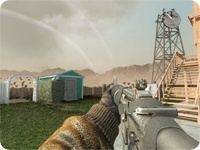 Its stats in power, range, and even recoil are identical to the previously unlocked AK-47, apart from a slight few advantages the Commando possesses: a faster draw speed, a shorter reload time, and a more comprehensible iron sight, which largely negates the utilities of the Red Dot and Reflexsights. 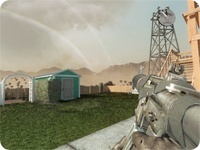 The weapon's recoil, while moderately low, can become a problem during prolonged fire at longer ranges, though, as with most other assault rifles, usage of burst fire can mitigate this. Overall, the Commando is a very versatile weapon, boasting a fast reload time, fairly low recoil, fairly high damage, and a fast draw speed. 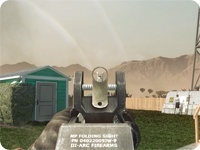 It is a highly balanced gun, and statistically is better than the AK-47, so using it in the place of the AK-47 is recommended for more competitive playing if the player does not prefer its predecessor.